The past week we had two nights below freezing, and I wondered how the ‘Better Late Than Never’ Garden would fare across the street from the shop. I’d been checking it regularly, hand weeding the henbit. 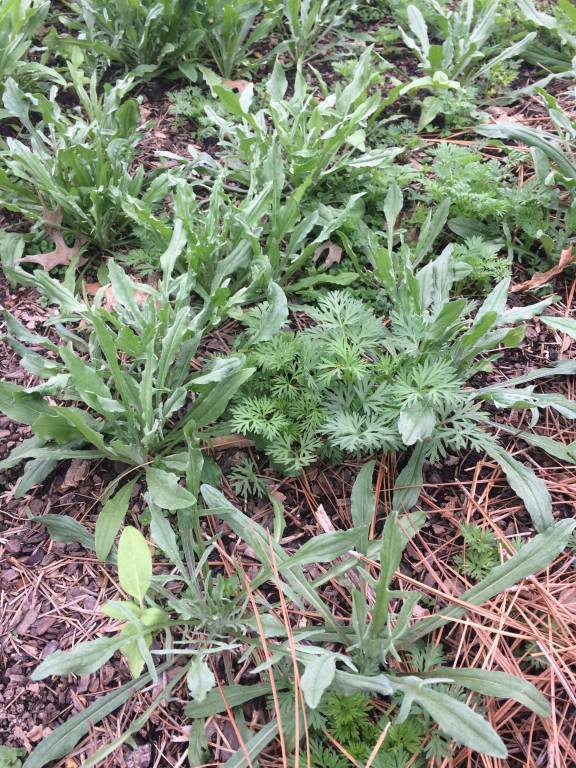 This pesky weed (Did you know it’s edible?) 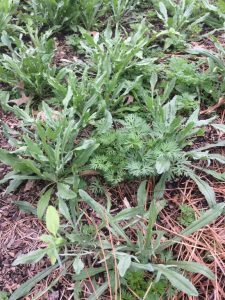 was determined to come up between the ferny larkspur, flat poppy leaves, and the blue gray foliage of bachelor buttons that looked like they were just beginning to stretch up toward the sky. This garden is truly a stepchild of the garden world. I was out of town the day the temperatures were forecast to drop. I knew everyone at the shop was moving the inventory into the greenhouse – a big job and one that I’m sure would take a good part of the day. I let the garden go, hoping for the best. 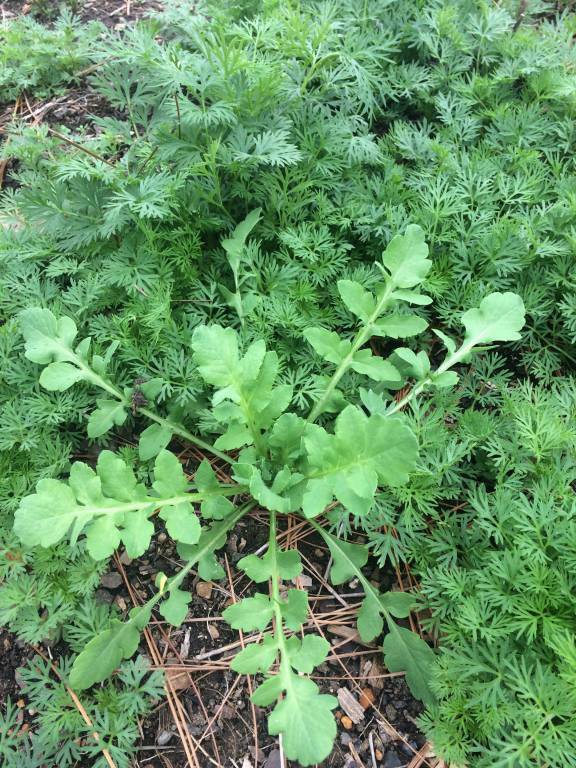 With the first cursory glance as I parked my car across from Emmet O’Neal Library and walked up the sidewalk toward the garden,, everything still looked green, a very good sign. Looking more closely, the only damage appeared to be to the few sunflower seedlings that obviously didn’t get the memo that it was much too early to sprout, and were now black and quite dead. Maybe the fact that I didn’t thin the crowded seedlings out like you’re supposed to kept everything warm, snuggled up together, I thought. 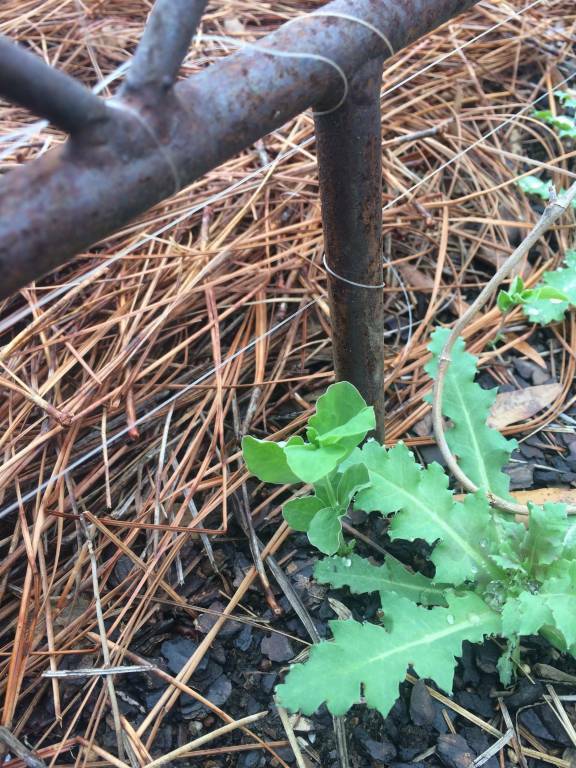 Whatever the reason, it was good to spot even the sweet peas that I’d recently planted on one of the front arbors. I was looking forward to seeing them begin to climb up the fishing line I’d strung along the metal of the support. I’m hoping some of the poppies coming up near the arbor in the front beds are the gifted seeds from a friend. 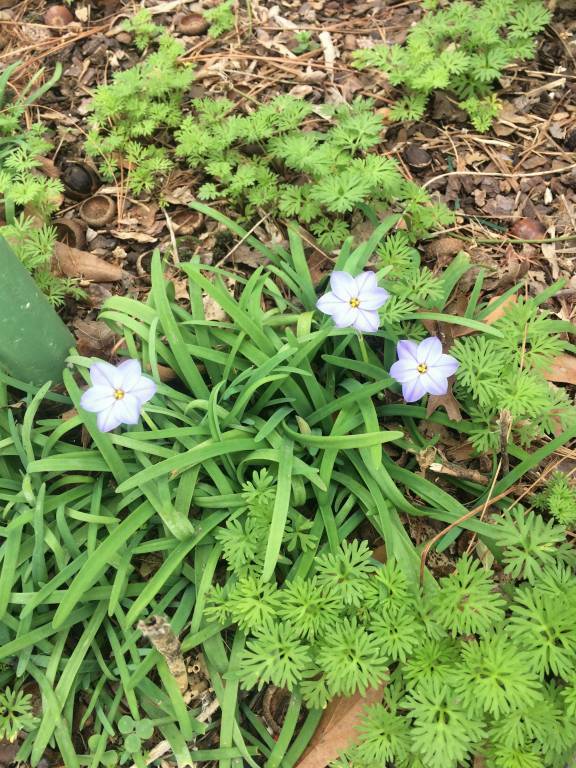 She was given them on a garden tour to Maryland last spring and offered them to me to try, saying the color was exquisite. I can’t wait to see! Though there are always sights like that to look forward to, many large flowering shrubs and trees in our landscapes may well have been affected by the last cold spell, their buds frozen. One of my gardening friends mentioned she was particularly worried about her summer blooming hydrangeas, and I’m concerned about my fringe tree blooms. Only time will tell, and we’ll just have to keep our fingers crossed. Until then, enjoy the beauty apparent in the fresh green hue of unfurling leaves and the return of the many pollinators that grace our gardens and landscapes. 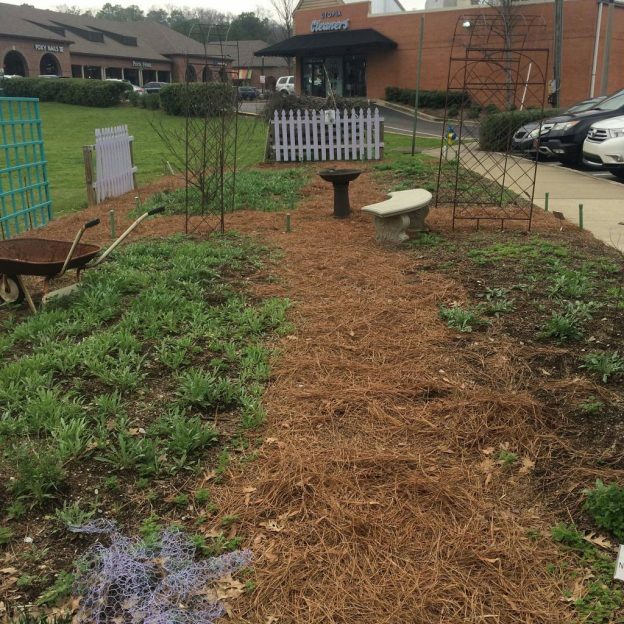 Be prepared also to plant the flowers, herbs and perennials that they appreciate…and that we do as well. Happy gardening! 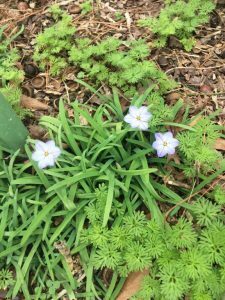 This entry was posted in Annuals, community garden, Flowers, Planting Tips, Pollinator Gardening, Spring and tagged bachelor buttons, better late than never garden, better late than never pollinator garden, ipheion bulbs, larkspur, poppies on March 19, 2017 by Kris Blevons.